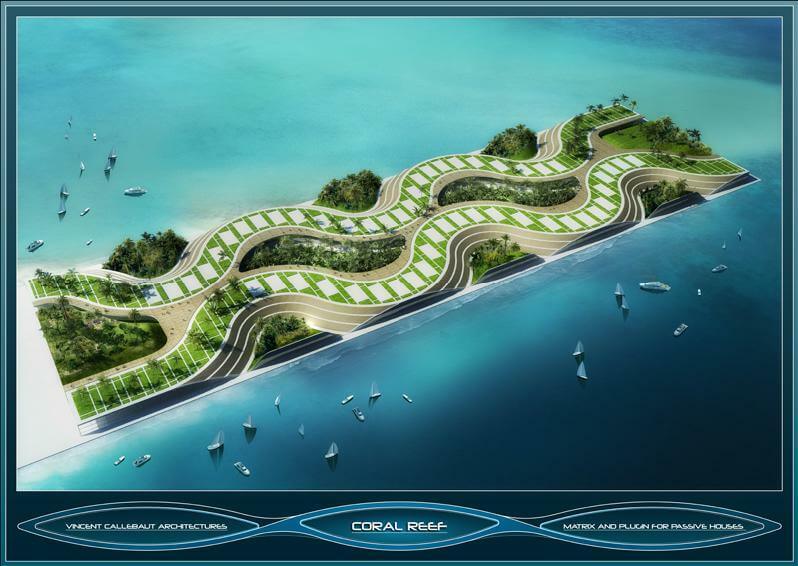 VINCENT CALLEBAUT ARCHITECTURES designed a Coral Reef project a great idea for building a three dimensional and energy self-sufficient village in Haiti. The shape of this project is a coral reef with fluid and organic forms, the waves undulate shape designed to accommodate more than one thousand Haitian families. As you can see from the The Coral Reef project plans, the basic structure module is made of two passive houses which are interlocked in duplex around a transversal horizontal circulation unit. The result I think would be just amazing. hey there and thank you in your info – I have certainly picked up anything new from proper here. I did on the other hand experience several technical issues the usage of this web site, since I skilled to reload the site lots of times prior to I could get it to load properly. I have been pondering in case your hosting is OK? No longer that I am complaining, however sluggish loading instances occasions will very frequently impact your placement in google and can injury your high-quality ranking if advertising and ***********|advertising|advertising|advertising and *********** with Adwords. Well I am adding this RSS to my e-mail and could glance out for a lot extra of your respective fascinating content. Ensure that you replace this again soon..